There is no finer metal with which to cast jewelry with than .950 Platinum. The milgrain style is a slight twist on the classic dome adding a little flair to your wedding band. 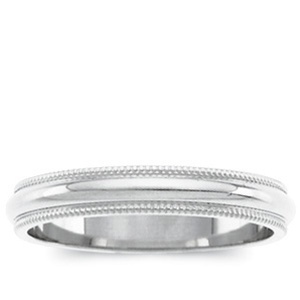 6mm is a perfect width ring for men or women and popular amongst both. Built specifically for those whose love has gone platinum but needing it at an affordable price. Also available in satin finish by special order.